A tale of few words and many photos. 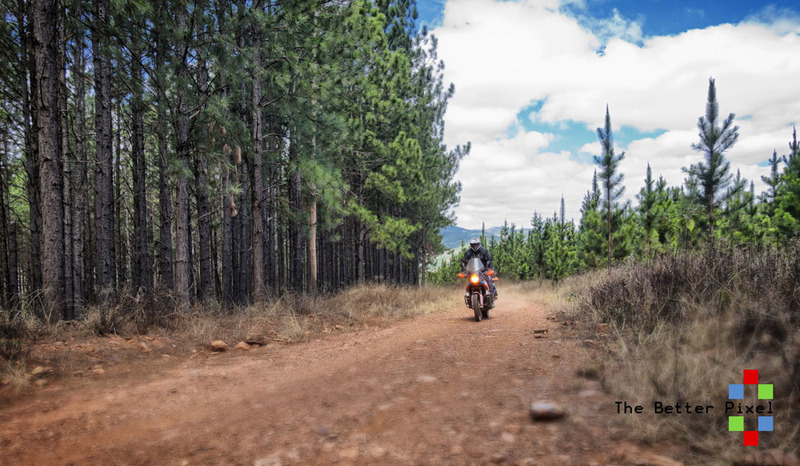 What started out as a boring looking weekend ahead, soon turned into an epic motorcycle adventure ride starting at Tonteldoos and heading on towards the Sappi forests and mountain ranges surrounding Nkomati Nickel Mine. 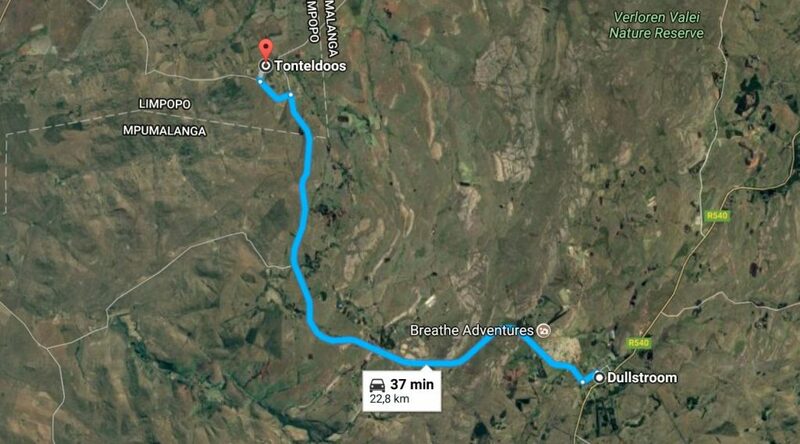 Yup, Tonteldoos, located on a peaceful hill near Dullstroom, a popular fly fishing destination. 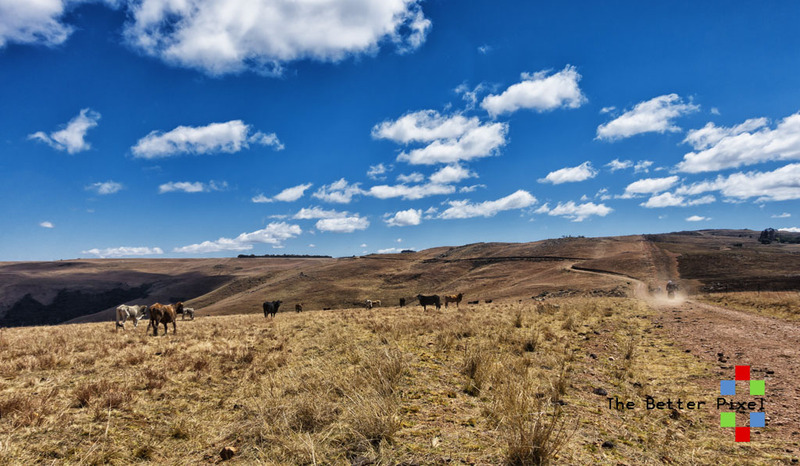 It is surrounded by farmlands and the town itself has a pub, a cheese farm, a country kitchen and some places to stay. Actual population is unknown but cant be more than 20 people I recon. 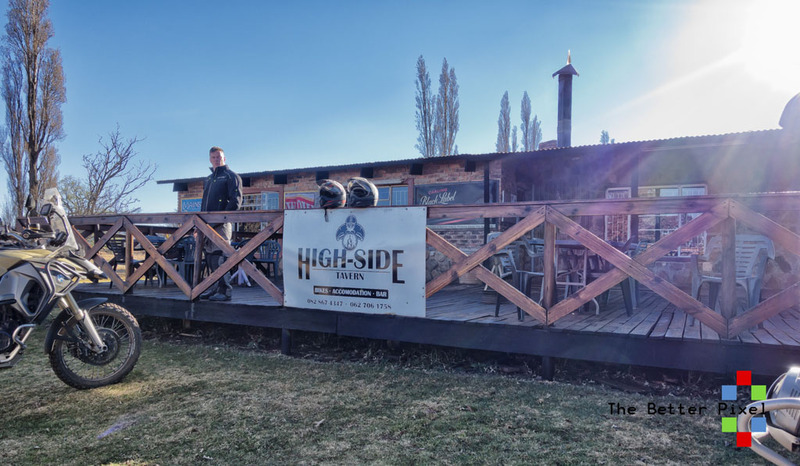 Our host for the weekend was Peter McBride the owner of Highside Tavern. 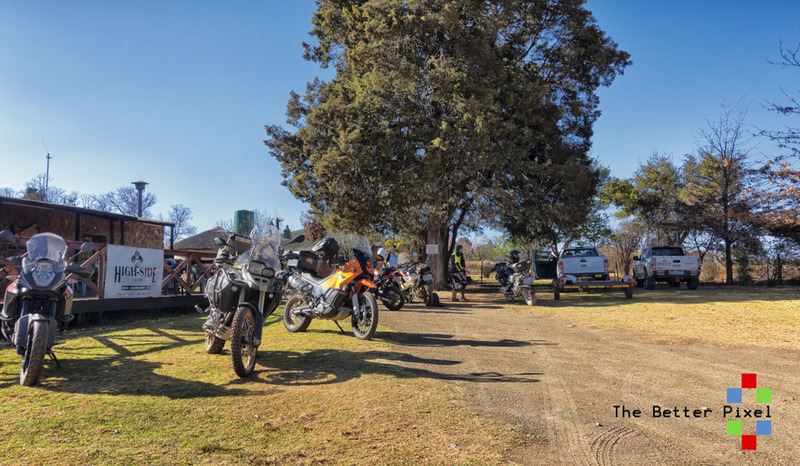 Pete (an excellent rider on his KTM 990) assisted by Tanya, a local lass, run the pub and farm and have 6 rooms to let at very reasonable prices. 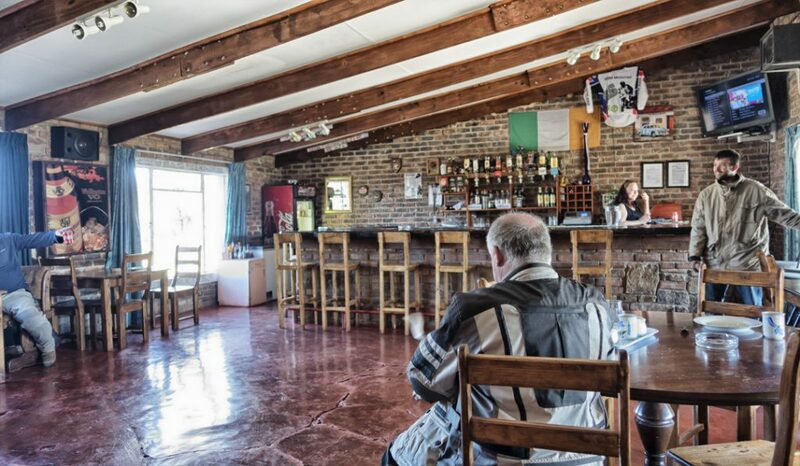 His burgers are outstanding and entertainment abounds in the evenings from pool, to darts to live entertainment, which needs to be imported (just like the beer)…. 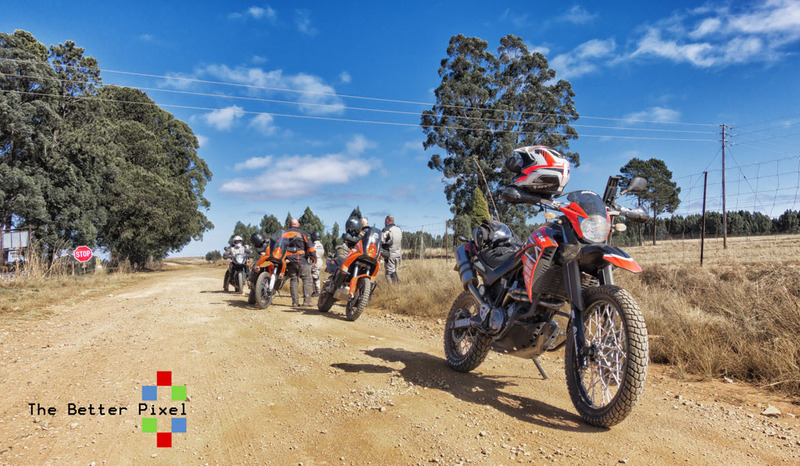 The day started with a lekker brekkie of Egg and Bacon roll that Pete prepared and we were joined by Joe Holmes from Bushboys Camp and Cottages who would lead the ride on his KTM 990 Enduro. Pete, also on a 990, would be our sweeper for the day, making sure that no one was left behind. 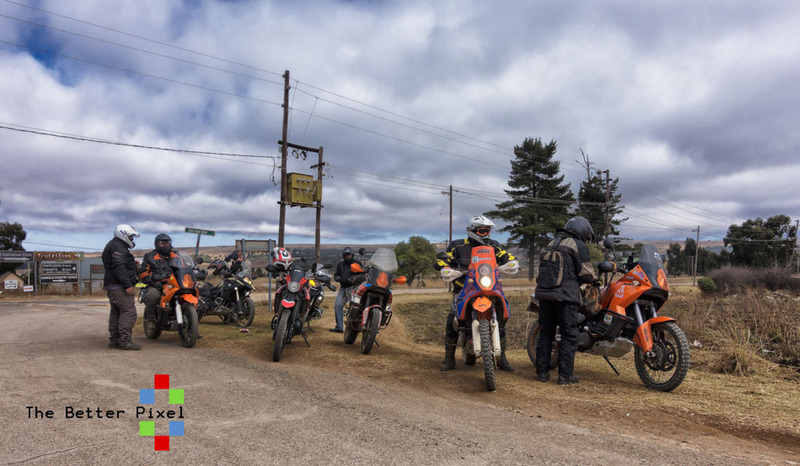 1st stop was just at the end of the road from the Highside Lodge leading into Dullstroom itself, but this 22.8km section was already a wake-up call 1st thing in the morning. 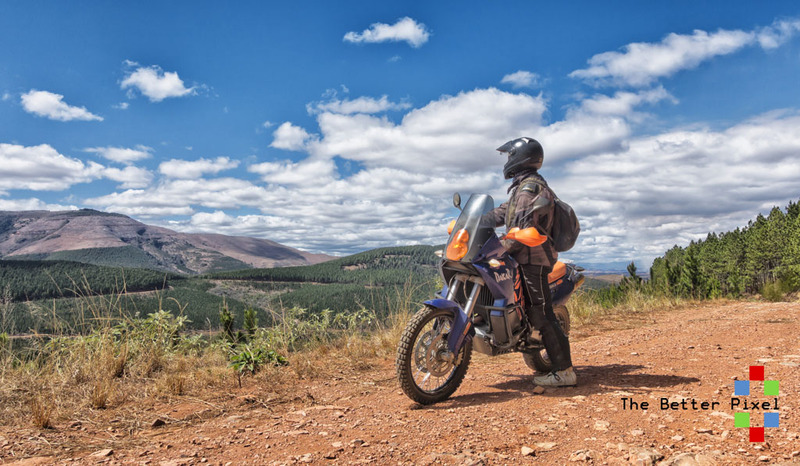 Louis on his KTM 690 E had to turn back because he had left his camel pack on the trailer and joined us later again down the road. 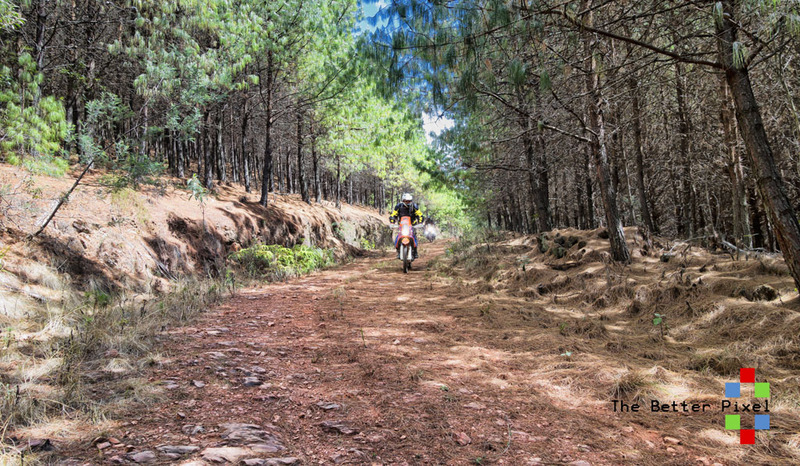 These locals ride that section like we ride our local highways with not a care in the world.. It’s quite amazing. 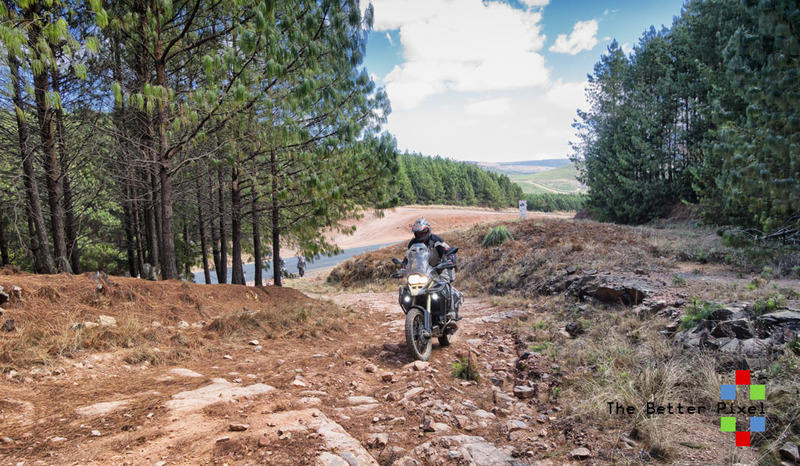 From Dullstroom we headed towards our first forest area and the riding was just spectacular. 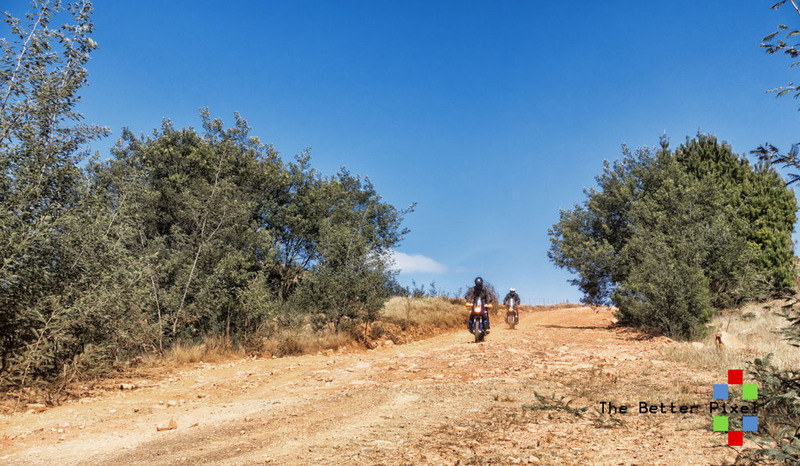 Gravel was mostly hard packed and easy going. 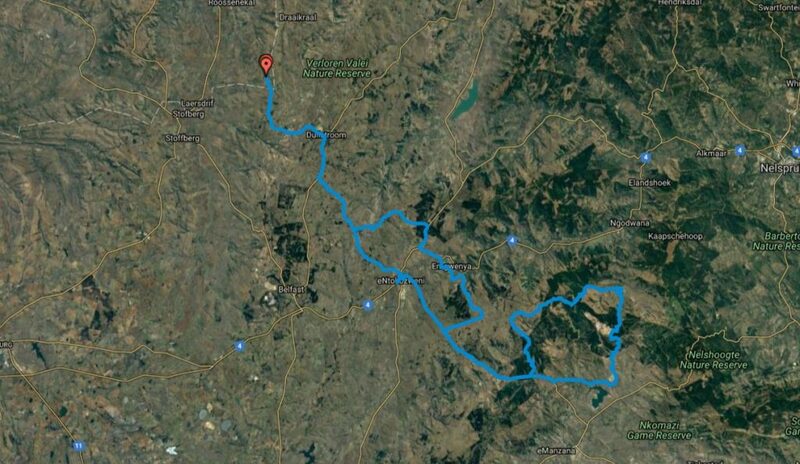 As can be seen from the map below, there were two main loops planned for the day and off we headed in the direction of Waterval Bo and on towards Helvetia North. 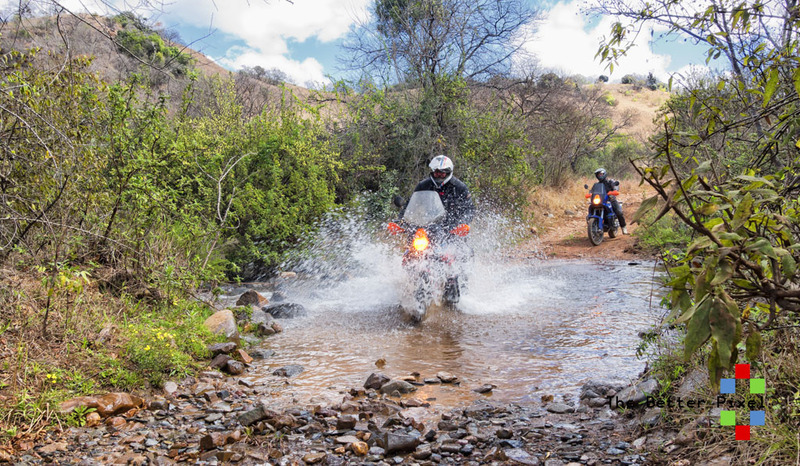 We had beginner riders, 2 up riders and more advanced riders, but everyone kept up and nothing was to difficult. 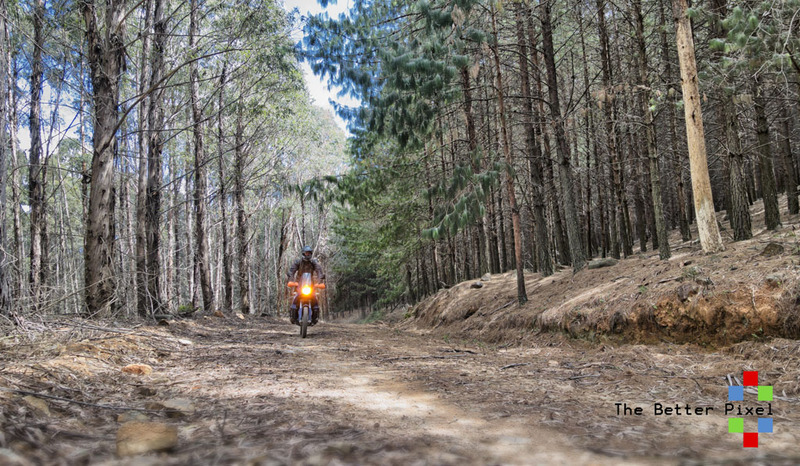 This was an avenue of trees near Elandskloof that deserved a photo. 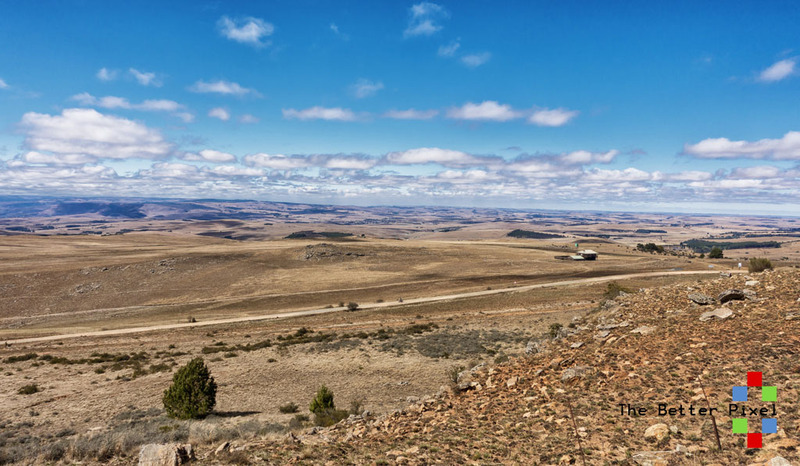 The views from Marskop rd looking east warranted a quick photo opportunity and you can just make out the bikes on the road in the distance. 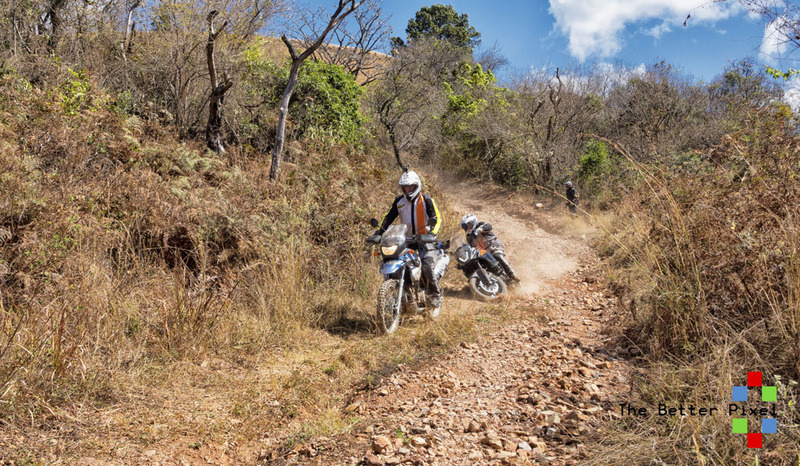 After this downhill, we made our way into the valley and on towards Waterval Bo. Tire pressures for the day were very varied and there was no real consensus on the ideal range, so each rider had their own preference and all worked out well. 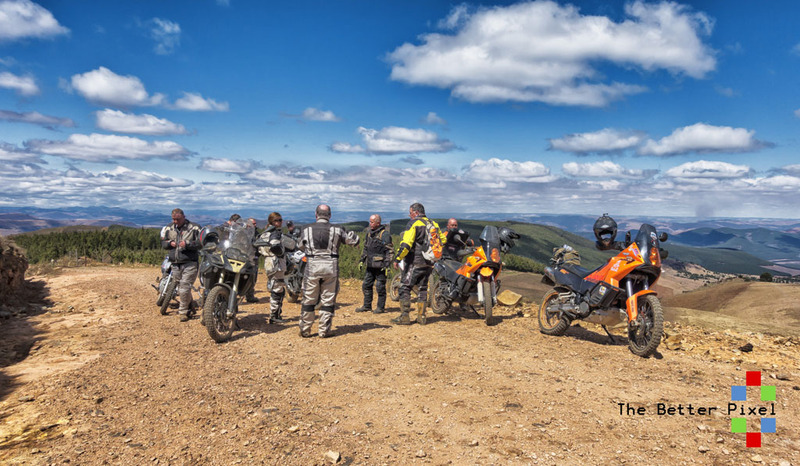 Once again the views from above Waterval Bo looking down into Elands River Valley were spectacular and the riding did not disappoint. 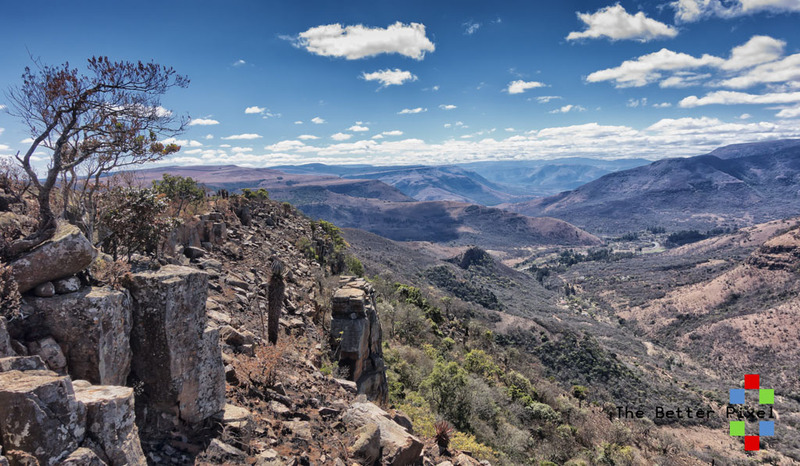 We were led to this ‘lookout’ point by Pete and he gave us a bit of a rundown of the area. 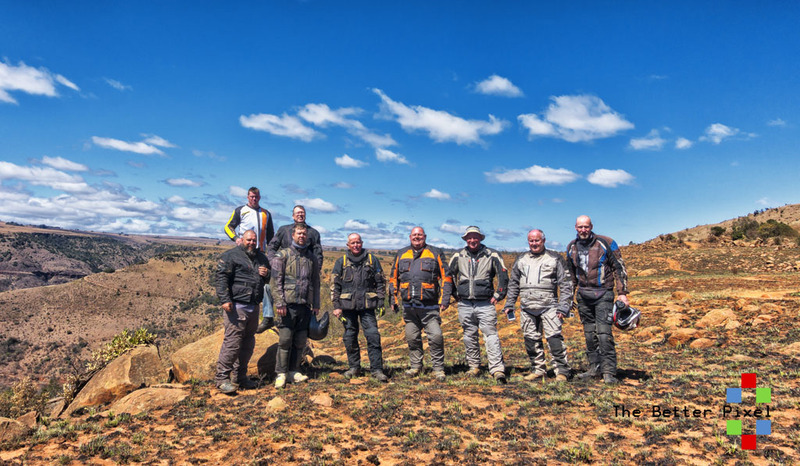 No adventure is complete without the obligatory group photo and thanks goes to Karin Cross for this pic. 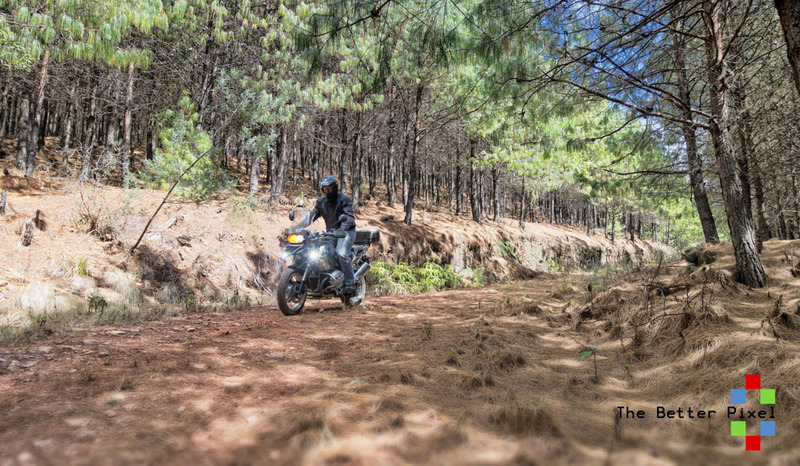 Short tricky section leading into the forests but it has a less intimidating side route to the right which the writer ‘tested’. One of our ‘heroes’ finding out that not all is what it seems or just a lack of concentration. Onlookers stand by in case a motivational talk is required or just simply taking a rest. 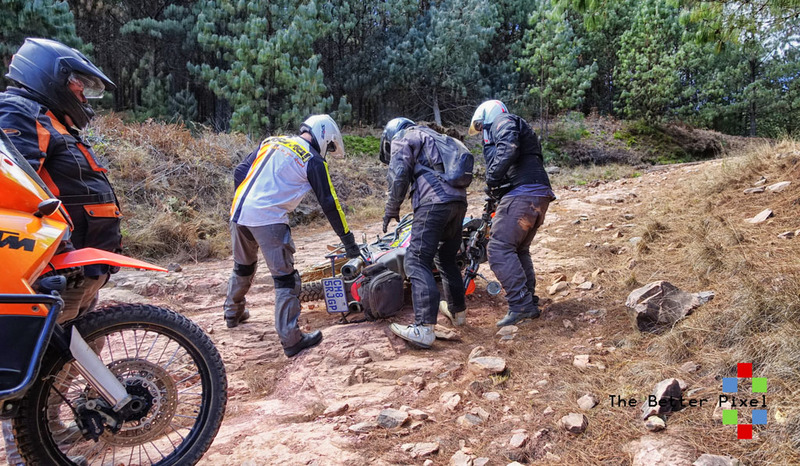 As is usual with any adventure ride with mates, when someone falls, take a photo, then assist, or else it never happened. 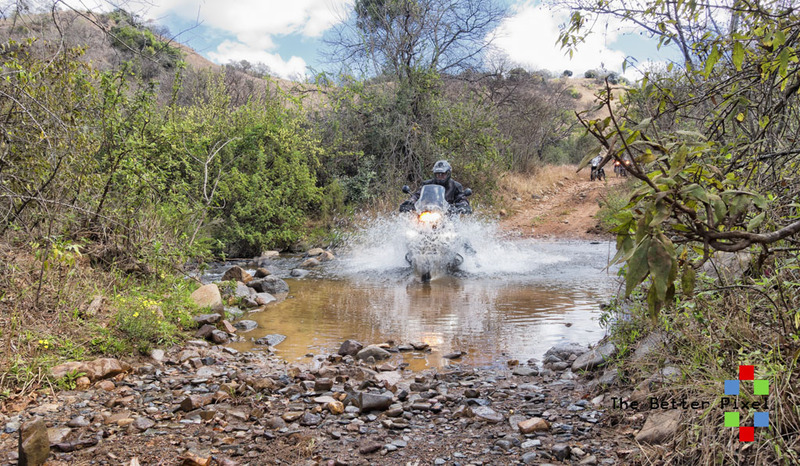 No adventure ride is complete with at least some water crossings and although not very large or deep, did provide some relief for the heat and dust. 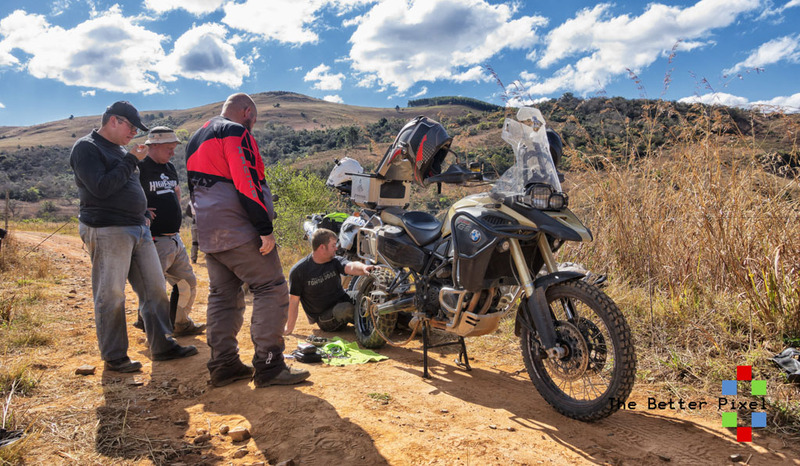 Our one and only road side repair was easily dealt with with the help of Pete and others lending a hand by clapping, smoking, laughing, cheering on and pondering what all the fuss was about. Here we are discussing the rest of the day, should we ride or go home and drink, we decided to go ride, and drink later. 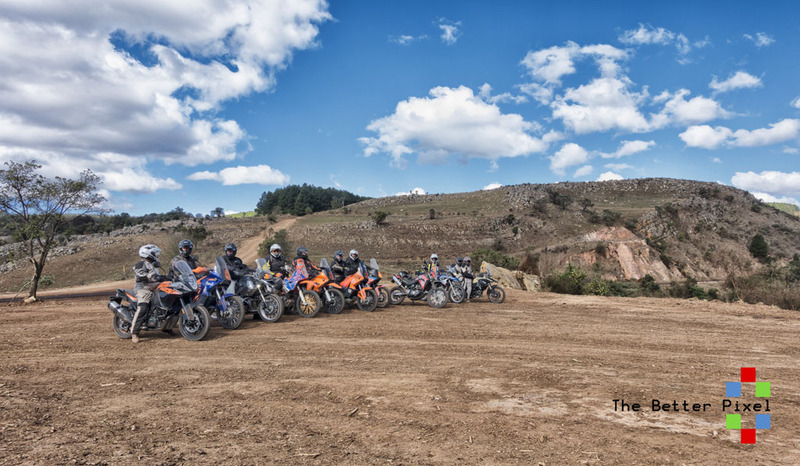 Our last group shot for the day, before hitting some semi tarred road that looked very slippery, but actually wasn’t. 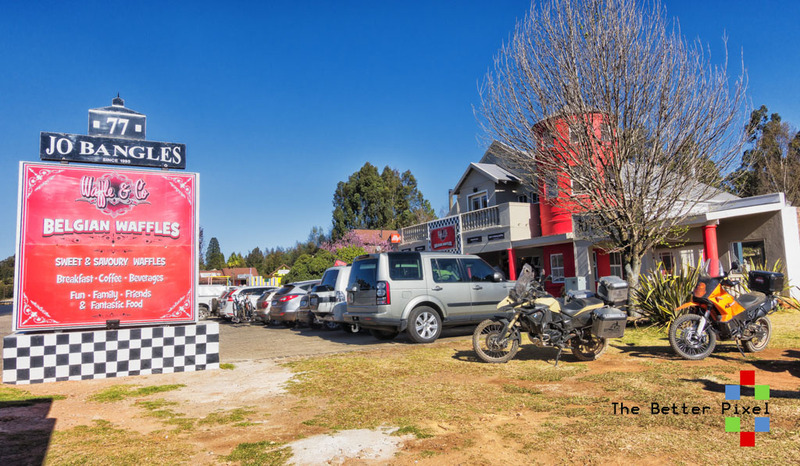 The next day, we all stopped at Jo Bangles for some waffles, and reminisce about the fantastic ride we had and when we would be back again. Steeve v Reenen for inviting me along. 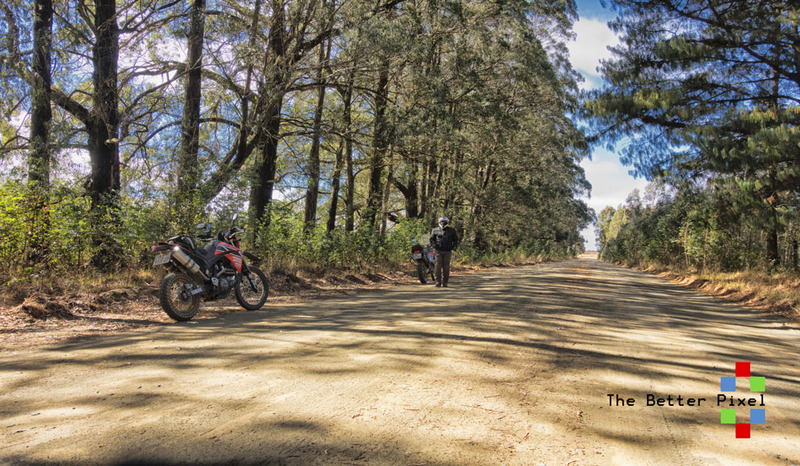 Laurence, Gustav and Rob: XT660, XR650 and old africa twin.